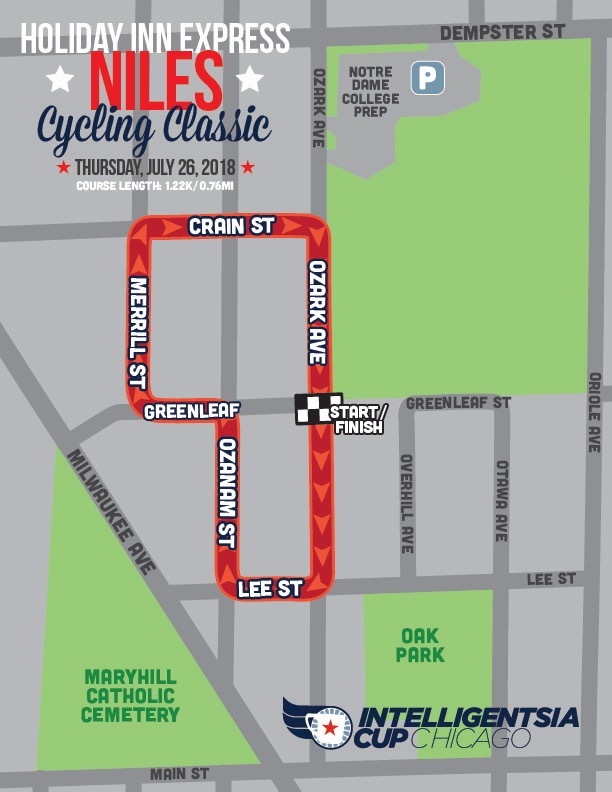 Returning for the third year is the Village of Niles with the Holiday Inn Express Niles Cycling Challenge! GPS Directions Racer parking is located just off the course at Notre Dame College Prep. This is a neighborhood course. Please respect posted resident-only parking signs.